An important point to consider when writing. A Good Goal for Indie Authors: How Many Books Should You Sell? At any stage of writing or publishing—from the concept to already having a few books out there—you want to know how many books to expect to sell. It’s the million-dollar question. Well, you hope it’s a million-dollar question. You’d hate to find out it’s a hundred-dollar question, a five-dollar question, or a zero-dollar question. Revealing a high frequency of sales may attract unwanted attention. For example, it may evoke jealousy in others. Revealing a low frequency of sales may make it seem like the author has failed, it may draw pity, and it may even deter sales. It’s also not easy to gather sales data from Amazon, BN, Apple, and all the other book and e-book retailers out there. Whether the research involves all books, just print books or just e-books, just fiction or just nonfiction, just indie books or just traditionally published books, just Amazon or all retailers, etc. The time period over which the research was gathered, since the numbers may change significantly within a few years. How the researchers went about gathering their data. Despite these differences, the average number of books sold is often said to be a figure like 100, 250, 500, or 650. I can hear some of you asking an important question: Is that per month? per week? That’s right: It’s not per month, per week, or per anything. It’s just a period. That’s lifetime. Those are some small numbers! You know what I think about those numbers? Too many authors work their rears off crafting a hundred thousand words, editing, formatting, polishing, learning the craft, blogging, tweeting, facebooking, developing a website, writing sequels, supporting other authors, working 40 hours a week to pay for the luxury of writing part-time, and supporting families while spending years writing their books… to sell a few hundred books all together. That’s too much hard work. The worst part of this is that there are many authors who’ve done all this hard work who are presently thinking, “It sure would be nice to sell 100 books,” because they haven’t gotten there yet. Most of the authors I’ve encountered love to write so much they couldn’t imagine not writing. Many were writing novels before print-on-demand made self-publishing viable. Now they have the opportunity to share their work with others. They do all of this hard work so that some readers can find a few weeks of enjoyment. It might be a small niche audience who enjoys that book, but for many authors, that’s okay. They know that some people will enjoy their books even though they didn’t write the most popular topics (or didn’t write them the way they’re usually written), and they want very much for the audience that will appreciate their books to find them. Sell a single book to a stranger. Have one stranger enjoy your book. The first time you autograph a copy for somebody. Let one stranger reach out to you and tell you that your book was worth writing. One can be a powerful number. You can’t get to 50,000 without starting at one. Number one in a category would be a pretty cool “One,” too, don’t you think? First, I said that a few hundred is unacceptable. Then I said that one is special. Am I sending mixed messages? The first goal is to get regular sales of any sort. It doesn’t matter if it’s one book per month, one book per week, one book per day, a few per day, or what. A sales frequency with some regularity will net you sales in the long run. Time is on your side. One book per month doesn’t seem good, but if you can keep it up, after several years it will add up to something. Eventually, you’ll break that average number of books sold. The second goal is to improve your sales frequency over the course of time. If you start at one book per month and raise it to one book per week, that’s a 400% improvement. The slower you start, the easier it is to improve. Starting with one book per day, try to get to 2 a day, then 3 a day, and so on. Be patient. And work toward your goals. Better than comparing yourself against others (there will always be a bigger fish out there), try to improve upon your former self. Not just quantitatively. If you feel that your writing or publishing skills are improving, even if your numbers aren’t growing, that provides some satisfaction and gives you hope for future improvement. 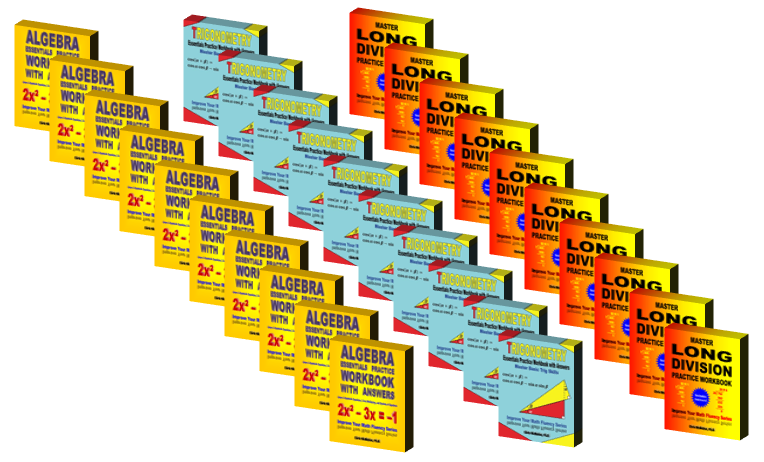 One of your long-term goals has to be to exceed the average number of books sold. Whether it’s a year, a few years, a decade, or whatever—it’s not so much the time period that matters, but the satisfaction of getting over this hump—you’ve got to reach 1000 books and grow from there. First you’ll get there with the sum of all your books, but eventually you want each book to break this threshold. Work for it. Remember, it doesn’t have to happen this year. Time is on your side. Then you’ve got to keep the momentum up. 1000 isn’t close to what your hopes and dreams were when you were fantasizing about sales before you pressed that publish button. If your numbers are growing, that’s a great sign. Let your long-term goal be to steadily improve your numbers and you will have much potential for future success. Don’t just focus on the numbers. In the end, it’s not the numbers that matter. It’s how many readers benefit from your books that truly matters. Focus on your readers and, naturally, both your books and your marketing will be better with your readers at heart. If the average number of books sold is 250, this doesn’t mean that every book is selling 250 copies. Since it’s an average, it means that for every book that sells 100,000 copies, there are thousands of books that hardly sell at all. There are millions of books available for sale, with tens of thousands coming out every month. It’s not easy to get discovered. But the challenge makes success that much more rewarding. Accepting the challenge makes you want to write an even better book. It’s also not as hard as it at first seems. Many authors give up. Some books were published as tests. A few people took up publishing with the misconception that it would be an easy money-producer. Content doesn’t have an audience. Author didn’t have relevant expertise (especially, for technical nonfiction). This means there is hope. Books that were slapped together with the hope of making easy money are bringing that average down. Authors who got discouraged quickly are bringing it down. Books that need a much better cover, authors who don’t market, unedited books, all these factors make the average number of books sold smaller. If you could throw all these out, the average number of books would be higher. How much higher? That’s a good question, but higher nevertheless. It may not come easily, but you can do it. Research the idea before you write. See what’s already out there. Try to gauge your book’s potential. Give your readers the best content you can. Don’t rush it. Focus on long-term success. Quality affects long-term sales through word-of-mouth, customer reviews, and branding. Get ample feedback from your target audience and fellow authors. Assess your storyline, characterization, writing style, formatting, cover, and blurb. Make or buy a cover that will specifically attract your target audience. If you have a quality book, the cover can be a very influential sales tool. Most best-selling indie authors credit their covers for much of their success. A fantastic cover won’t sell a lousy book, but can make a huge difference for a great book. You work so hard hoping for your target audience to find your book, wouldn’t you like for them to actually click on it once they see it? It’s the cover that makes the difference. An appealing cover isn’t satisfactory. It has to attract your target audience to give your book maximum potential. Write a killer blurb. Rewrite as many times as it takes, get as much advice as you need. A few sentences on your product page are the only thing that will determine if the customer will click to Look Inside or walk away. Similarly, perfect the Look Inside. Good editing, good formatting, a professional appearance, a professional author photo, an effective biography… all these things influence sales and some also impact word-of-mouth sales and reviews. Develop a professional online author platform. When people check you out, you want to look like a professional author. Create content that will attract your target audience, as this can be a highly effective marketing tool. Don’t try to build Rome in a day or a week. A little work every week over the course of several months can get you there. Visualize the professional author platform you’d like to have and work for it, little by little, with your long-term vision in mind. Meet and interact with other authors and check out their websites to help you improve your vision for your own platform. One year from now, you want to have 100 or more people who don’t already know about your book visiting your author platform every day by searching for relevant keywords through search engines (that’s over 30,000 visitors per year!—if the content fits your book well, these are people who may enjoy your book). It takes nonfiction content that’s a good fit for your book to attract them. Done right, it may be the most effective marketing you do. Write more books. Every quality book you write improves your exposure. Customers who find one of your books are likely to find your other books, which gives each book much increased exposure. Some customers will also buy multiple books. You look like a serious author with several books out. Shoppers also realize that trying one of your books has the possible reward of providing a large supply—the risk is they may not like the book, but the reward is that it will be easy to find several other books like it if they do enjoy it. Each book also helps you reach more readers, and every reader you reach is one more person who might eventually tell a friend. Some authors get discouraged by a slow start and give up. Authors who push on and continually strive for improvement have a great deal of potential. Writing several quality books greatly enhances your prospects of selling a significant number of books. Learn about marketing. Try out a variety of ideas. Spend a lot of time writing, but also spend a little time marketing every week. Marketing can pay off in the long run, but you have to do some of it and keep it up for marketing to pay long-term dividends for you. If your book isn’t selling well, try to change it up. If sales decelerate or a critical review suggests need for improvement, consider a change. Try changing the blurb. This is something simple to change and in a couple of weeks, you may be able to judge its effect. The next simplest thing to consider changing is the Look Inside. Both the blurb and Look Inside can have a significant impact when the content is highly marketable. A new cover is a more drastic change. If you believe in your book and if feedback suggests that your current cover isn’t attracting your target audience, this may be worth considering. If your book isn’t selling or if a critical review suggests improvement, consider improving your book’s content. Be patient. Sometimes, there is an audience out there for a book and it just isn’t easy to match the book to the audience. It is possible for word-of-mouth and branding to eventually pay off, even if things start out very slowly. When things seem really bad, seek advice from (A) people with experience and (B) people in your target audience. If it’s not working, you should be open to suggestions. Market your book, run a promotion, try to get the word out. Paid advertising probably isn’t the answer for a book that isn’t selling, but there are a lot of ways to advertise for free that may be more effective. First perfect the content and packaging, then turn to marketing. Quality and packaging are more important for long-term success. Interact with your target audience. Wish your fellow authors well, too, and mean it. Similar books work together, whether you like it or not. Quality similar books thrive together through customers-also-bought lists and word-of-mouth. Foolish authors who shoot down their neighbors hoping to get ahead shoot themselves in their own feet because if they actually succeed in deterring sales of similar books, their own books will sell fewer copies from customers-also-bought lists. Customers don’t buy one book. Over time, they buy several similar books. Authors can benefit from this greatly, or lose from this, much depending on how the authors of similar books support one another. 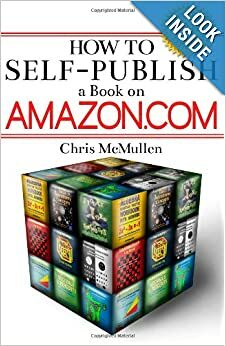 My original self-publishing guide, How to Self-Publish a Book on Amazon.com, recently updated and expanded, is temporarily on sale for 99 cents at Amazon.com. Once you press that publish button, your book will be publicly visible. This allows the general public to discover and purchase your book, but it also makes you vulnerable. You could spend years researching and producing a book, and in just a few seconds someone can write a few words in a review that sends you seething. You could spend months doing even more work to market your book, only to find that some of your former social media friends no longer wish to speak with you. You could be unfortunate enough to attract the attention of cyberbullies. You could stick your foot in your mouth publicly in a few seconds, shattering months of hard work to brand your author image. You could have a steady flow of sales going, and then suddenly the algorithm that was helping your book get discovered can freeze your sales like an Arctic chill. You could have virtually no sales at all. Authors need firewall protection—not so much for their computers as for themselves! Don’t dwell on the worst that could happen. Visualize a positive future for you and your book. Don’t waste anxiety over what hasn’t actually happened. At the first sign of a problem, don’t react out of fear. Things might be much better than they seem. Be patient. Try to stay positive. Feel confident (but not arrogant). Don’t be a stat or review junkie. You can’t control other people, but you can control your own actions. Refrain from remarks and activities that may attract negative attention. Strive to maintain a professional author image. Don’t behave reactively or defensively. Show patience, think things through, talk things out privately. If you only have one book and it’s only available on Amazon, you’re ultra vulnerable. Strive to sell effectively through multiple sales channels. That way, if something is adversely affecting sales at Amazon.com, chances are that it’s not also affecting Amazon UK, Nook, Kobo, Smashwords, Sony, Apple, BN.com, The Book Depository, local bookstore sales, direct sales from your website, in-person sales, etc. While Amazon.com may be your main sales channel, other additional sales help to give you continued activity when Amazon.com sales are slow. Write multiple books. If you write different kinds of books, consider using a pen name as this offers protection from being targeted (on the other hand, it’s easier to market books that are all published in a single name). If you have a talent for cover design or basic editing, for example, you can combine this with your writing hobby so that you’re not entirely dependent on book sales. Pre-marketing helps to generate early sales. The more sales you generate, the more likely you are to get valuable reviews from customers (which looks more natural than recruiting reviews in a time when customers are learning to be suspicious of reviews). Learn ways to market your book effectively and do the work. Personal interactions can help to generate sales, even if there is a sales deterrent on your product page. Customers you interact with personally through marketing are also more likely to post reviews. Run book promotions or contests to help generate interest in your book. This can help to inspire sales and reviews when you’re going through a lull. Try revising your blurb. If there is a recent bad review, sometimes a blurb change can render the review less effective. For example, if the blurb points out the same thing that the review says, new customers may think, “It wasn’t useful to say that in a review. It says it right there in the product description.” For example, if the customer was surprised that it was just a novella, or if the customer complains that there is too much violence, making such things clear in the blurb can help to offset the review. Your blurb is a dynamic marketing tool. If a review complains about editing, consider getting your book edited. If you receive helpful feedback about features of your book that you might improve, consider doing this. Don’t blindly revise your book every time you receive a review; but when you do receive feedback, do give it your consideration. If you do update your book, consider mentioning this in your blurb. Reexamine your Look Inside and cover. A slow period is the best time to try something new. Develop a fan base. Create a fan page or email newsletter with content or activity that will attract fans. Provide instructions for signing up at the end of your book. Make connections with fellow authors. Share stories and advice with one another. Help one another out (scrupulously, of course). Research to find others who have shared a similar experience. See how they handled it, both what they may have done wrong and what worked well. You’re not alone. There are thousands of other supportive authors out here. Reach out. Don’t just see and focus on the bad. Look for the good that comes with it. Sales have ups and downs like roller coasters. Remember to see and enjoy the ups, and when falling down, remember that it may go back up later. When a customer says something like, “I enjoyed the characters, but…” don’t focus solely on the BUT! See the good remarks, too, not just the bad ones. If you did the best you could at the time, remind yourself how hard you’ve worked. Believe that your hard work will pay off in the long run. A bad review can actually improve sales. You never know. Wait and see. One thing’s for sure: It will increase your total number of reviews, which makes your book seem more popular. Customers are growing suspicious not only of good reviews, but also of bad reviews. Give your customers credit. They might be able to see through smoke and mirrors (if there is any). A review that points out a problem may help you in the long run. You might wind up making a revision that puts a much better book on the market. There are seasonal effects, economic factors, Amazon’s algorithm periodically changes things up, and a number of reasons that sales might slow down temporarily. You really need to wait a few weeks to see if things are really slower than normal. Be patient. Don’t fret over the actions of a jealous rival. Customers may see through this. If a rival does succeed in bringing your book down, at least you can be sure that he or she has shot him- or herself in the foot foolishly. Similar books help each other sell better through customers-also-bought lists, for example. More likely than not, a jealous review will actually help your sales and hurt the sales of the author who left it. Try not to sweat it. Avoid commenting defensively on a review. Avoid commenting at all. Be patient, think things through, talk things out, learn how other authors have handled this (both good and bad), ask yourself if the worst that can happen offsets the best possible outcome. It’s tempting to send your “posse” to your blog and downvote a review you don’t like, but how will that look? In the worst-case scenario, you and your friends vote and the reviewer and the reviewer’s friends vote on all your reviews. How will that look? Put yourself in a customer’s shoes. There may be a special situation, but at least think things through and talk things out, be patient, let emotions calm down and wisdom kick in. Avoid ranting about a customer in public, such as on your blog. What you post on your blog doesn’t stay on your blog; it’s not like Vegas. You want people to read your book. You don’t want people thinking, “Is that how you treat your customers?” I don’t know about you, but I absolutely LOVE my customers. They aren’t easy to find. Visual authors with a good feel for what a printed page should look like tend to format a paperback book first with page headers and page numbers, then later try to remove all the page formatting and implement Word’s Styles to transform the paperback book into an e-book. Others prefer the more text-oriented design of the e-book, then later try to add features that are relevant for printed pages. Don’t use page breaks, section breaks, columns, or any other kinds of breaks. Don’t format the title page, headings, subheadings, or anything else. Just type plain text. Make all the text (headings, body, everything) the same font style and size. For now, pick the font style and size that you want to read, not what you want in your book. Don’t indent any paragraphs. (Especially, don’t use the spacebar to create indents.) Don’t use the tab key. At this stage, don’t even use First Line indent from the paragraph menu. Add Space After each paragraph from the paragraph menu options. This is just to create block paragraphs (even if you won’t be using block paragraphs) for reading now. Use whatever value helps you see the separation between paragraphs nicely. Remember to go back to the paragraph menu and change the value of Space After once you begin formatting later (using Select All, or modifying the Normal Style, this will be easy). Don’t use any drop caps. Don’t make the first words of the chapter UPPERCASE at this stage. Don’t use the Enter key more than twice consecutively to create blank lines. It’s best at this stage to avoid using the Enter key more than once, and just to end the paragraph. Avoid using special symbols, especially those that may be unsupported as e-books. Instead, just write the name consistently in a unique way, like #infinity# for the infinity symbol. It will be easy to find and replace these later (using the Find tool). It’s handy to use a symbol like # or something else you know you won’t be using otherwise to make little reminders for yourself (simply use the search function to find them all later). Don’t insert any images now. Just make a little note where you wish to insert the image later. You can focus solely on writing. 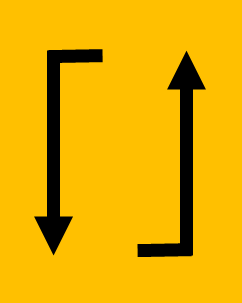 Not diverting your attention to formatting allows your writing to flow freely while the ideas are coming. This plain text file will be convenient for editing and revisions. Just remove the Space After paragraphs and make the entire file double-spaced (or whatever you prefer). This will force you to edit your text first and check the formatting later. Trying to check both at once improves the chances of not catching mistakes. You may find it advantageous to format both paperback and e-book editions from a plain text file than it is to change one format to the other. Formatting is just like painting if you use Word’s built-in Styles. You can find these at the top of the Home tab. It’s easy to modify any of the default Styles: Just right-click it and select Modify. When you modify a Style, look for the box that you can check that says, “Automatically update.” This is a huge time-saver. If you use the Heading 1 Style to format your chapter headings, for example, and later decide that you’d like to change it, all you have to do is change the Heading 1 Style and all of the chapter headings will change immediately—no need to go one-by-one through your whole document and reformat the chapter headings. It’s also easy to add a new style of your choosing: Click the funny-looking arrow-like icon in the bottom-right corner of the Styles list and the bottom-left button with A’s on it on the new window that comes up lets you create a new Style. You’ll have one paragraph Style called Normal for your body text. You need to create a new Style similar to Normal, except for not indenting the paragraph. You might call this First Normal instead of Normal, for example. Just place your cursor in the first paragraph of each chapter and press the First Normal Style. You might also apply this style to lines of your copyright page, if you wish to have them left-aligned or justified without indents. Use the Heading Styles for chapter headings and subheadings. 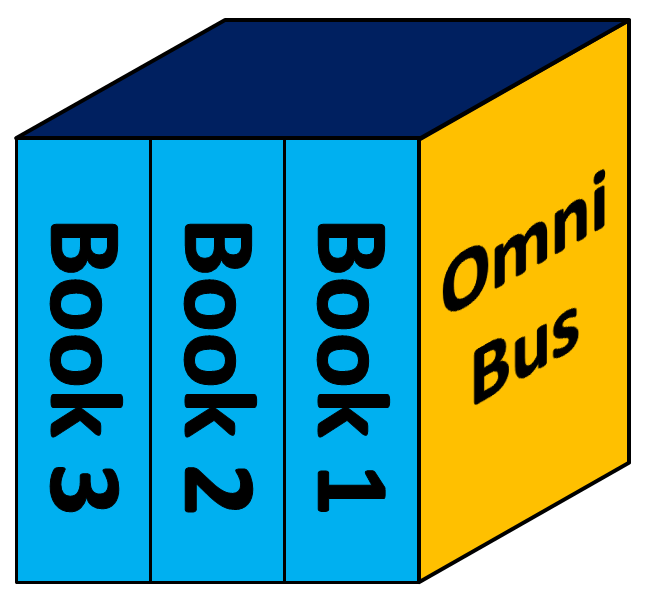 Adopt other styles for other kinds of formatting that your book will need. Modify the Heading 1 Style, click the Format button, choose Paragraph, go to the Line and Page Breaks tab, and check Page Break Before. This will automatically insert a page break at the start of every chapter (once you’ve applied the Heading 1 Style to your chapter headings). For your paperback, you may also want to add a Continuous section break from Page Layout (if you wish to have different page headers in each chapter, for example). In the Paragraph menu within a Style, you can also add Space Before or Space After instead of using the Enter key to create blank lines. For example, you can add Space Before to drop the chapter heading down a certain amount instead of starting at the top when beginning a new chapter. When you Modify each Style, select the font style, size, and color. If you change your mind, just Modify the Style and—presto, change-o—everywhere that Style has been applied, the changes will instantly be made (assuming you checked the Automatically Update box). Choose left alignment, centered, right alignment, or justified for each Style. Warning: For some of the preset Styles, you want to click Format, choose Font, and visit the Advanced tab. Some have values set for Spacing, Position, or Kerning, which may not suit your design tastes. If you added Space After paragraphs, remember to remove this (e.g. using Select All) before you start formatting. It’s worth selecting your entire document and applying the Normal Style when you’re ready to begin formatting your document. Then go through your document and “paint” the formatting for First Normal, Heading 1, Heading 2, and any other style you need. 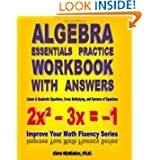 Once you begin formatting, if you make any changes to the text, be sure to make the same changes to your plain text file, e-book file, and paperback file. Try to perfect the editing before you format so that these revisions are kept to a minimum. When you write what you feel is a great post and see a few early reblogs, that show of support is wonderful. How about that delayed reblog that comes days, weeks, or even months later? Did this person miss the party? Is the delayed reblog even better? I’ve received a couple of delayed reblogs lately (thank you very much), and personally I love it. Early reblogs may help your topic look like it’s trending now—wow, that looks popular. But they can also look a bit spammy, especially as many bloggers share many common followers. Those common followers also mean that readers see all of those reblogs in the same window of opportunity. The delayed reblog helps to reach readers who were inactive during the original post. Of course, if you intentionally delay, you may forget to reblog, you might not find the post again, or you might get wrapped up in your other work, as busy as we are. Save the post to your Favorites on your browser. That will make it easy to find later. If you like the post enough to reblog it, you surely like it enough that you might want to hunt it down several months from now, in which case it will be really handy on your Favorites list. Reblog now or reblog later? Click the image to view the book on Amazon. In this article, I will discuss how to update a book on Amazon through both Kindle and CreateSpace. Since I have just done this with one of my own books, I will use that to provide a concrete example. Should I create a new edition or upload new files into the old edition? Will it be worth the effort of making revisions? For how much time will the paperback be unavailable once file revisions begin? How will the revised edition impact customers who own the old editions? I will share my experience with these questions, but first I wish to illustrate some marketing points with the Look Inside. The cover, blurb, and Look Inside of these books illustrate some important marketing features (although the sales rank of the paperback has slipped from not being available for a while during file review). Let’s begin with the cover. I feel that the new cover looks more professional and has more pop. The old cover may have more effectively conveyed the content, but I wasn’t happy with the look. Changing designs like this hurts branding efforts, but I feel that the potential of the new cover outweighs this risk. The title is more visible in the thumbnail. This is a very important marketing point for books that sell through visibility on Amazon. 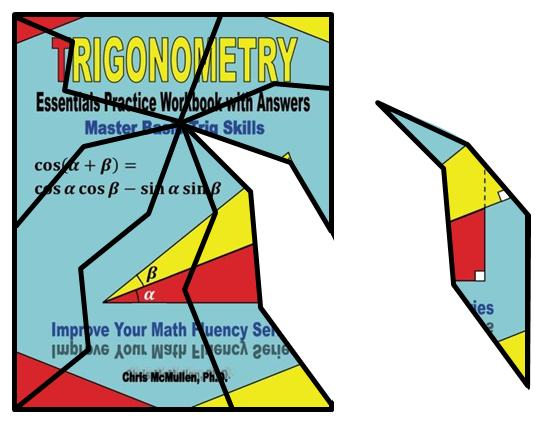 Check out the gold starburst in the top right corner (hidden by the Look Inside triangle, yet will be a nice surprise for those who click to Look Inside). Sometimes, a subtle feature can make a big impact. A single image is more memorable. It’s tempting to fill up the entire cover with designs (I’m guilty of doing this with some covers), but simple designs can be more effective with branding. Maybe the Kindle cover is a little narrow. I went with Amazon’s recommended 1:1.6 aspect ratio to try it out; I usually go with something wider. I like the way this ratio fits in the Fire, but the cover is automatically skipped anyway when purchased. I’ll probably go with a wider ratio with my future Kindle covers. Shorter blurbs are often more effective. For one, the longer a blurb runs, the harder it becomes to maintain the shopper’s interest. You want to grab that interest quickly and encourage a peek inside. Nonfiction blurbs can be longer than fiction blurbs, but need to be divided into paragraphs or use bullets. I added blank lines and boldface through CreateSpace using basic HTML, and did the same at Author Central (where HTML is optional) for the Kindle edition. It’s better to do this at CreateSpace for the paperback (then preview it immediately in your eStore in case there are mistakes) than at Author Central if you have the Expanded Distribution (since other retailers, like Barnes & Noble, may use your HTML). An update stands out at the top. The “brief description” paragraph makes it look like a short blurb, especially since the only other text you see without clicking “Show more” is about the author. My goal is for the customer to peek inside. But for those who want to learn more first, they can click “Show more.” The list in the long description might format better as bullets (one thing I’ll consider changing). In my opinion, the best features are subtle. Subtleties can make the Look Inside seem professional or amateurish, and can put the shopper in a good mood or bad. Note how the first page of each chapter is properly non-indented. Even when there is no indent on the Word file and no indent on the actual Kindle file, there are often indents in the Look Inside. The way around this in Word is to properly create a Style for non-indented paragraphs (also apply this to lines from the copyright page) with First Line set to 0.01″, then edit the HTML in Notepad to change the 0.01″ indent to zero. It’s important to have consistent indents and proper non-indents. I set the indents to 2 em’s, not a value in inches. Go into the HTML and change the value in inches to a value in em’s. An em refers to the size of the letter M, which will vary with the device’s screen, font style, and font size. Using a value in em’s instead of inches helps the indents look good on any device, including the Look Inside. There is a formatting issue with drop caps in Kindle devices. A common alternative is to put the first few words in ALL CAPS. I like that colorful bookshelf (drawn by Melissa Stevens, who also designed the cover). I think it adds a little pop on devices that support color. There is a danger in using too many images in the Kindle edition. Shorter images tend to be better. A main concern is not distracting the reader from the text or detracting from the story. It’s ideal to use a light decorative touch that adds appeal. It’s not easy, as there are many potential pitfalls (image quality, fitting the content well, interrupting the flow, creating orphans, etc.). The cube is repeated. 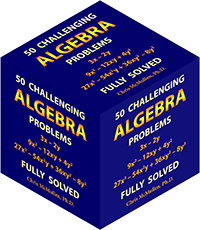 When you buy the book, you don’t see the cover, you just see the cube first. But in the Look Inside, you see both. That repeated cube is another thing I’ll consider changing. There are a few subtle features that I may improve, but overall I’m pleased with these Look Insides. The paperback features drop caps, grayscale decorative touches, headers, page numbers, and a slightly fancier chapter heading style. Note that there are no headers or page numbers on most of the front matter (until the second page of the introduction), the odd-page header has the title while the even-page header has the chapter name, and the introduction has Roman numeral page numbers while the body has Arabic numbers. It’s a little “fun” to achieve this in Word, but it’s worth doing. The “secret” is to insert Next Page section breaks (instead of page breaks) where you want the header or footer style to change and place your cursor in the header or footer area and uncheck Link to Previous to make the Same as Previous flag disappear. When the paperback Look Inside first updated, it was showing 100% of the book. Bursting bananas, Monkeyman! That’s why you should always check your Look Inside. CreateSpace was very quick to respond to my inquiry and the problem was quickly remedied. Let me address the questions that I raised in the introduction. Should you create a new edition or upload new files into the old edition? 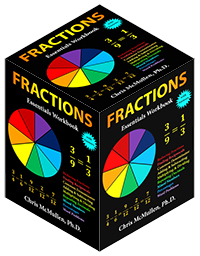 My original edition had 41 reviews and a healthy sales rank. I wanted to keep these, not start from scratch. If your book has only a few reviews, including a bad one, you might prefer a new edition. If your book has a history of slow sales and you’re hoping for better, a new edition offers hope. It’s easier to maintain a good sales rank than it is to overcome a history of slow sales. A new edition gives you added visibility through the new release filters (i.e. Last 30 Days and Last 90 Days). The risk is that you can spend much time making revisions, and may even invest money on editing or cover design, but might not see any improvement in sales. If you’re strongly committed to having multiple titles out and a professional author platform some years from now, even if it’s a slow going in the first couple of years, then any improvements you can make now might have a significant impact on your distant future even if you don’t see any short-term benefits. More feedback from your target audience about your current edition and your potential revisions can help you decide if the changes may be worth making. Even if the revisions don’t improve sales, if they make you feel better about your book that may be enough to make it worth doing. If the changes are relatively minor and you’re content with sales now, you might consider the “If it ain’t broke, don’t fix it” philosophy. You can always make the changes in the future. This depends on how minor the changes are. When you upload new files at CreateSpace, your book won’t be available until you click Approve Proof. This can take as little as 12 hours or so, if you view the Digital Proof carefully and okay the changes. But it can take much longer, especially if you order a printed proof. The printed proof is more reliable, while the Digital Proof is quicker. Watch out for chain reactions: You can add a word on page 2 and it can cause crazy changes to the layout and formatting of pages that follow. It’s worth viewing every page. You can get caught by surprise: You might get some unexpected error (like not making any changes to the cover, but seeing the cover changed or getting an error message about the cover) that takes days to resolve. Your sales rank will rise while your paperback book is unavailable. I’ve had books with sales ranks that had held steady between 10,000 and 50,000 for months, which rose up to the 100,000’s after uploading revised files, for which the sales rank didn’t return to normal for a couple of weeks. This particular book was in the 40,000’s prior to revising the paperback files, and is presently at 200,000. 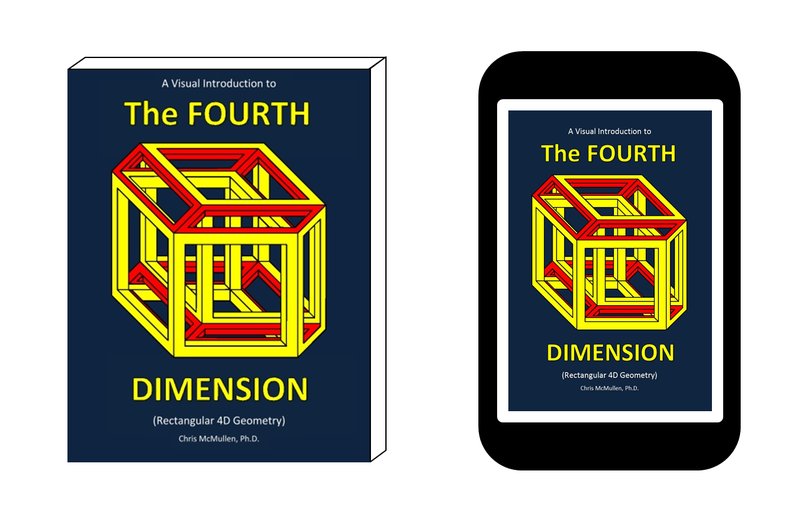 Kindle e-books are different: Your old edition remains available for sale until the new edition takes over. For either edition, it can take a few days for the Look Inside to fully update. Occasionally, this is quicker (this time, the Kindle updated within a day), and sometimes it takes longer. Login to Kindle Direct Publishing (KDP), click the Contact Us button (in the bottom left corner of most pages), choose Publish Your Book, and select Making Corrections. Copy and paste the ASIN from your product page into the form, then type a message in the space below. In your message, describe the changes that you made very specifically. Wait up to 30 days for KDP to investigate the changes. KDP determines that the revisions are minor. 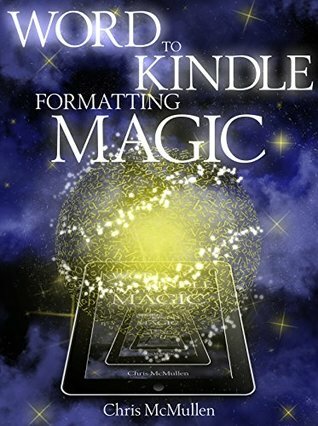 Customers won’t be notified, but can receive the updated edition, depending on their settings under Manage Your Kindle. KDP determines that the revisions are major. Customers will be notified that an updated edition exists. They must use Manage Your Kindle to get the update. KDP determines that the revisions are critical. KDP will remove the book from sale until you correct the issue. Once the issue is resolved, customers will be notified of the update. For paperbacks, previous customers will simply have to buy a new edition in order to get it (well, I guess they can sell the old one used, which means a new customer receives the outdated edition…). Even worse, shortly after the transition, it’s possible for a customer to receive the old edition when buying the new edition directly from Amazon. One possibility is that Amazon may have copies of your old edition in stock, e.g. through returns. Another possibility is using a third party printer to fulfill an order, for whom it may be several weeks before the update occurs. You should order a copy of your book from Amazon.com to see how it looks. Rarely, there is a problem with the files at CreateSpace that causes the old edition to continue to print, or strangely a hybrid book that seems to be a combination of the two editions (this is very rare, but it’s worth checking just in case you win the “lottery” here). Amazon.com paperback customers can always get the Kindle edition for 99 cents through MatchBook. If you have the old paperback edition and wish you had the new one, I’m sorry. If you’d really like the new edition, try using the Contact Me feature here on my blog. My newest self-publishing books are called A Detailed Guide to Self-Publishing with Amazon and Other Online Booksellers, Volumes 1 and 2 (see below for links to these). 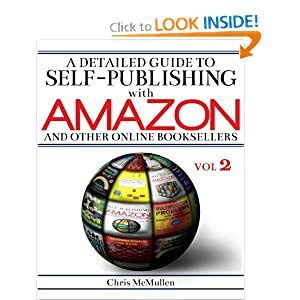 How to Self-Publish a Book on Amazon.com is my original self-publishing guide from 2009: It has been significantly expanded and updated, but my Detailed Guide is more thorough (especially, if you have both volumes, as the second volume includes many subtle formatting tips and a huge chapter on marketing). Amazon Prime Price Increase: Will it Affect Authors? The price for Amazon Prime is increasing from $79 to $99 per year. How will this impact authors? Fewer sales of print books. For one, Prime customers qualify for free two-day shipping of eligible products. Prime customers may be more impulsive shoppers because (1) they don’t have to spend $35 to qualify for free shipping and (2) making more purchases than they would otherwise may help them feel like they’re getting their money’s worth. Fewer borrows of e-books. Prime members who own Kindle devices can borrow up to one Kindle e-book per month. Authors enrolled in KDP Select earn royalties on borrows. But don’t worry too much: If there are fewer borrows, then each borrow will pay a somewhat larger royalty. If the number of borrows does drop, the effect may be negligible (unless Amazon reduces the monthly fund for borrows). Suppose the extra $20 does deter some customers from keeping or joining Amazon Prime. It’s possible that Amazon will roll out some new Prime benefit to attract new customers. Presently, Prime benefits include free two-day shipping on eligible products, borrowing one KDP Select e-book per month, and instant streaming of a wide selection of videos. Perhaps something new is on the horizon. If so, that would help to attract new Prime members. Is Prime Worth the Money? If you’re thinking about signing up, you can sign up for a free trial by March 20 and lock in the current rate of $79. If you’re a current Prime member who has recently renewed, you don’t have to worry about paying $99 until it renews again. If, for example, you signed up in January, the price change won’t impact you as a customer until January, 2015. An appealing cover helps to get a book discovered among millions. A cover that quickly signifies the genre and content helps attract the target audience. A fantastic cover catches attention when sorting through several thumbnails. A professional cover suggests that the content may also be professional. Cover appeal can have a positive impact on a buyer’s mood and mindset. Book covers play an important role in branding the book’s image. However, a great cover won’t sell a lousy book. Once the target audience discovers the book, it’s up to the blurb and Look Inside to generate the sale. Once the book is sold, it’s up to excellent content to generate recommendations. Lousy content with a great cover will backfire with negative reviews. If the cover doesn’t seem professional, shoppers will wonder if the content also lacks effort or quality. If it attracts the wrong audience, the people who discover the book won’t buy it. Covers are fashionable. People are reluctant to buy books with covers with styles they don’t like. When a cover isn’t good, it has a negative impact on a buyer’s mood and mindset. Wouldn’t it be nice to know how your target audience reacts to your book before you publish your book? Wouldn’t it be nice to know how your book cover rates in terms of the various elements of cover design? The only thing that prevents you from doing these things is you. It’s wise to research cover design to learn about the various elements. Even if you hire an illustrator, you should understand what the illustrator is trying to achieve (and communicate clearly with your designer). But even if you master the theory, practice is another matter. Show your cover to people and get feedback. If you can get a few people with expertise in cover design to look at your cover, that will help you assess any issues that your cover-in-progress may have. The most important thing is to seek honest feedback from your target audience. With successful premarketing, you may have some fans and followers starting out to help provide feedback for stages of your cover reveal. When publishing subsequent books, you may already have a fan club in place. Cover feedback helps you build buzz for your book. It serves two purposes, so how could you possibly skip this valuable pre-publishing step? Check out this new website: http://covercritics.com. It allows you to post a cover for the purpose of receiving a critique of the design. It’s worth checking it out and exploring the comments on covers already there, as you can learn helpful information about cover design from the comments. I can’t make any warranties or recommendations on posting your potential cover on this site, as I haven’t used this service myself, but I can emphasize the importance of receiving feedback. Even more important is learning how your target audience reacts to your cover. One hour is a highly prized commodity. We’re now another hour behind our deadlines. 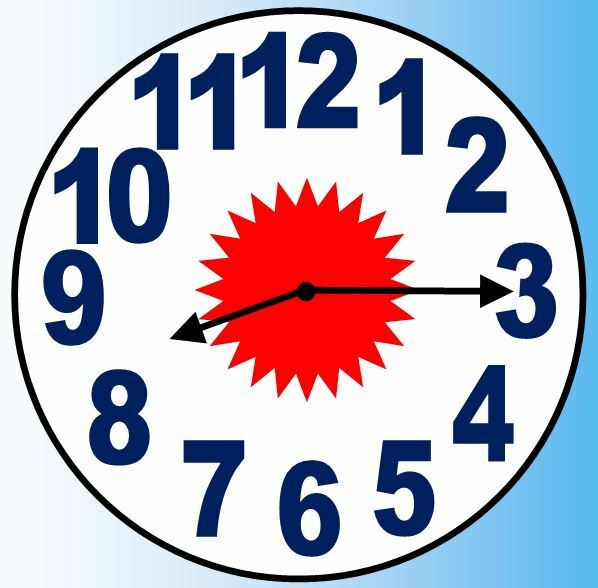 Are we really saving daylight with this? Will our energy use be slightly reduced? Do people exercise more with daylight savings? Shall we enjoy more sunsets this way? Do we get more stressed, anxious, frustrated, and depressed? Will increased stress lead to more health problems? Would keeping our hour leave us happier? Rebeling against the pains of daylight savings. Enjoy your extra sixty minutes today. They tax us when we make our money. They tax us when we spend our money. They even tax our time by stealing our hours. Why not just take the whole day away?